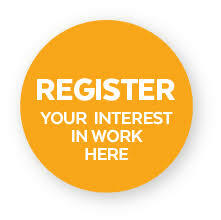 Hi, Welcome to the job search page for Adelaide and around South Australia. We have dedicated this page to helping you find work in and around the city of Adelaide in Mining, Tele Sales, factory work, office work, IT work to name a few and also the surrounding areas of South Australia like Barrossa Valley, Adelaide Hills and Clare Valley were you can find work in the fruit & vegetable industry on Orchards, for fruit picking, and Farm work. Basically we will try and help you with all types work. We will be updating the Jobs Board as we find more jobs. If you have any suggestions regarding jobs for working holiday visa holders please let us know. Also, are you someone who`s looking for permanent workers or casual working holiday visa holders (backpackers, travellers) for seasonal work in your company then please email us at Workstay or go to our contact page and send your details, don`t forget your resume or Job description. Many Backpackers and working holiday makers purchase vehicles whilst travelling Australia make sure you have insurance as it can be costly if you have an accident especially medical expenses. Adelaide the capital city of South Australia. Adelaide was set up as a free settlement rather than with convict labour and has grown into a very successful city. As the capital city of South Australia it as become home to many Australian industry, South Australia is home to the Australian wine industry with Barossa Valley at the head, it as become the country's largest producer of quality lamb meat, it is situated on the Southern Ocean and has a burgeoning fishing and aquaculture industry and is the source of fresh juices and sparkling mineral waters used in the manufacture of high quality beverages. Wine, meat and seafood, dairy products, fruit and vegetables, and confectionery comprise the bulk of exported processed foods. So if you are looking for work you should be able to find something that suits you. Adelaide is the home to the Adelaide Festival of Arts & the Fringe Festival. Adelaide has the largest and longest running fresh produce market in Australia. Has the longest guided busway in the world called The Obahn. The largest and oldest glasshouses in a Botanic Garden in the Southern Hemisphere. Imported from London. Adelaide has the closest and most accessible beaches of an Australian Capital City. Have the most restaurants per head of population then any other city in Australia. Is home to the RM Williams Museum & clothing outfitters at Prospect. Adelaide is home to The Sir Donald Bradman Collection Exhibition. Latest news on jobs and travel around South Australia.